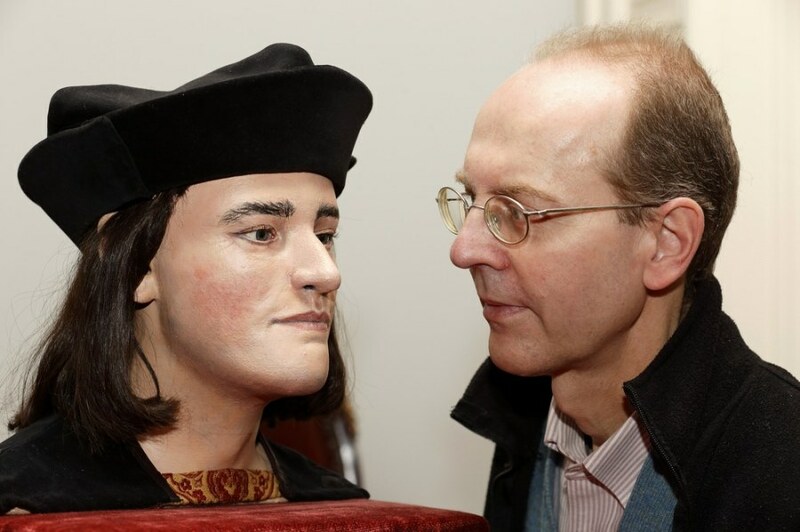 A facial reconstruction based on the skull of King Richard III is unveiled by the Richard III Society, in London on Feb. 5, 2013. 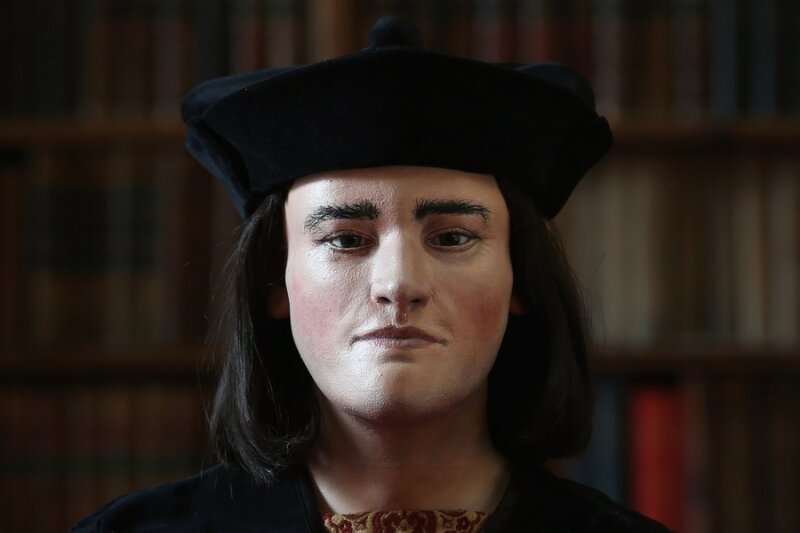 The face of England's King Richard III was revealed for the first time in more than 500 years on Tuesday following a reconstruction based on a skull unearthed from a parking lot in the city of Leicester. After carrying out a series of scientific investigations on bones exhumed from the site last year, the University of Leicester announced on Monday that the remains belonged to Richard III, who died in battle in 1485. Michael Ibsen, a descendant of England's King Richard III, poses for pictures with a plastic model made from the recently discovered skull of the king, during a press conference in London on Feb. 5, 2013. As detailed by NBC News Science Editor Alan Boyle, DNA was extracted from bone samples and compared with modern-day mitochondrial DNA from two direct descendants of Richard III's family, including Michael Ibsen, a Canadian-born cabinetmaker who is a 17th-generation descendant of Richard III's eldest sister, Anne of York. The skeleton's relatively delicate structure was consistent with descriptions of Richard III's physical appearance, University of Leicester historian Lin Foxhall said. The bones of Richard III, who reigned for two years, have been discovered in Leicester, England, and they indicate that his spine was twisted by scoliosis and that he received eight head wounds in battle. NBC's Stephanie Gosk reports.